This is a diverse and, I believe, heretofore unexplored topic; that of Soul evolution with regard to body co-tenancy agreements, including fetus in fetu and conjoined twinship. The question here is, what is the Soul purpose and the incarnational experience of Souls born through what is termed by Western medicine ‘deformity’. The information I have on this topic is based on my recent clair observation of a person’s Soul clearing regarding a fetus in fetu experience, as well as their recently activated past incarnational memories. I take issue with the notion that one conjoined twin may be classified as a ‘parasite’ in or on the other twin’s body, although I understand the moral dilemma of physicians forced by social convention to terminate the life of one twin so as to offer the other twin a more normal state of life. I would like to explore the topic of conjoined twinning as purposeful and evolutionary from the standpoint of the Divine, and from the standpoint of reincarnation. There are two sections below: The first section contains the video, and one for the blog topics that follow the video. A lightly edited Summary follows the video. In that section, text in green font is not in the video. The second section contains further discussion on the topic of the video, as well as an abbreviated and spiffed-up version of the information in the video. Link: “Ego 1: Circle of One … I Am the Only Ego in the World,” by Alice B. Clagett, published 15 August 2016 … https://wp.me/p2Rkym-623 ..
And in this second case, which is very rare, the two people involved were sharing the same body space, essentially. for five years. And so you had two egos in one body. I believe that the conclusions reached with regard to this case during the Soul healing described, apply across the board to issues with conjoined twins, whether ‘equal’ or ‘unequal’. So it’s a specialty area … a very atypical area … where two egos share one body, or one conjoined body. Very interesting. I would like to talk to you about an instance of fetus in fetu: That’s an encapsulated fetus inside the fetus of the sister. And I would like also to talk about several other incarnations of the encapsulated twin. And about medical ethics. As to fetus in fetu: This happens, from time to time; one in 500,000 births in the world, it happens. And there are other variants on this theme, that I will try to figure out later. But this is the one … through clair stories and through Soul clearing … that I found to take place during this current Lion’s Gate … this incredible roaring in of grace and Light and love and joy that’s happening early in August 2016. So really, I had no idea about it; I didn’t know, until all of a sudden, the whole thing unfolded, in the type of Soul clearing that one is certain is true, in our limited sense of third and fourth dimensional duality. So this was an etheric net clearing, and an electromagnetic field clearing, that took place. First, I would like to show you the concept … the world view within which I hold this sacred information that I am about to impart. My concept is Theosophical in nature. I believe that everyone has Soul … a great Soul field. And, when expressing itself in physical form … as is the case for you and me, in the world today … the Soul carries within it a number of subtle bodies, and the physical body, all of them, together, comprising the experience of life on Earth, in physical form. We have Ego, which is a feature of humankind; and which is rare in the Universe: The notion that I Am an individual … That egoic sense of consciousness: I Am a point of Light. I Am a point of Awareness. We have the etheric net. We have the Lower Mental Body. And the Higher Mental Body, of which I have spoken. We have the astral form. We have the Causal Body. We have the Body of Light. Those are the subtle bodies that I am more or less working with, and familiar with. And there may be more, for all I know. All of these subtle bodies work together, harmoniously, to create the most dense of human experiences: That of being in form on Earth. In a physical body. So from that standpoint, from that Theosophical philosophical standpoint, I’m going to discuss this unique perspective on Ego. The story that unfolded, regarding two past incarnations and the current incarnation of this person who cleared. went like this … I will explain it chronologically, even though the earlier incarnation was not known till later in the clearing process. The clearing did not take that long, but the buildup was over the years. The clearing took maybe an hour, max. I heard about it on the astral plane. There was a big difference between what I heard in the clearing, and the astral stories that I hear. Hearing a Soul clearing is unique, in texture and flavor and the impact of the Light. And the change in the person … in the person’s Soul signature … afterwards, is immense. It cannot be mistaken. Especially the first Soul clearing, during this process, is just totally life transformational. So but anyway, I’m going to tell you this story, which took me aback, I’ll tell you! I could never have envisioned something like this, or known about something like this. So it went like this: There was an incarnation in which this person was a child, a toddler. And its mother was a young mother. It was a time of war in Europe … maybe World War II. There were bombs coming down all around. And the mother sought shelter in a little hut. There, something happened, and she received a mortal injury, in the form of a gaping wound in the right side of her abdomen. The little child … the toddler … was terrified of what was happening, and tried to crawl into the wound to protect itself, even as the mother lay dying. And then the child also received a fatal injury. As the child died, its one wish apparently was, that it would have a safe place to be, inside her tummy. So but anyway, there were these two Souls … the mother and the child … in that situation. And it was terribly traumatic for both of them. As you might imagine, the mother was, no doubt, trying to protect not only herself, but also her young child. Then both passed on. Link: “Fetus in Fetu,” in Wikipedia, https://en.wikipedia.org/wiki/Fetus_in_fetu .. Typically, when this happens, the fetus that is encapsulated inside its twin, does not really develop normally: A certain limb … one limb, maybe … one organ maybe … but no head … and then there may be … I’m not certain of this … an encapsulating sheath. And then there’s a way that it can receive blood and nutrients from its twin … sort of like an umbilical cord. They do not really know why this happens. I thought maybe the two twins had shared umbilical cords, that were conjoined in a ‘Y’ shape, with the bottom of the ‘Y’ attached to the mother’s placenta … That maybe the one twin … the one that had been a toddler that had really wanted to be inside its mother in a prior, very traumatic way … somehow found itself, at the tiniest embryo stage, going back to the junction of the ‘Y’ … inside of that umbilical cord. So it would have had to have been very very small at that stage. And then going up the umbilical cord, and into the twin. But I don’t see anything in the literature that admits of that. Yet this one person that remembers this clearing, remembers that happening … crawling up the umbilical cord, into its twin sister. But in the medical literature, what they say is, they do not really know, but there are several different hypotheses; one of them being that the larger twin somehow encompasses the smaller twin. For instance, according to Wikipedia article on fetus in fetu: “Very early in a monozygotic twin pregnancy, in which both fetuses share a common placenta, one fetus wraps around and envelops the other.” –from “Fetus in Fetu,” in Wikipedia, https://en.wikipedia.org/wiki/Fetus_in_fetu .. So that might fit, too, from the perspective of the Soul that had enacted the mother role: A wish, with her dying breath, that she would want the child safe back in her womb. From her point of view, when this encapsulation of the twin fetus occurred, she might have wrapped herself around it … or felt that she was encompassing and protecting it. And from the point of view of the toddler that is the Soul that became the encapsulated fetus … It might have wanted to seek safety and comfort inside the belly of what was now its sister. So, setting aside the medical records, from that perspective, it seems to me that there is a logical, from the point of view of Soul purpose, Soul mission, and Soul evolution, for these sorts of events occasionally to occur; maybe connected with what you might call Sudden Death Soul Syndrome. So, very soon after that initial wartime experience where both passed on, this other situation occurred where they became twins, and one encapsulated the other, and then the Soul that had priorly been the mother, in that new situation gave birth to what she thought was just one, stillborn and deformed girl child … but in fact it was twins. So the story gets even more dramatic. And from the point of view of the duality play, I have never known a more dramatic story. For five years, there was this encapsulated situation, in which the one Soul was fully present, and aware of that tiny body inside of its twin sister. Feeling of the Larger Twin. And the other Soul, the bigger sister, felt within it the presence of this other Soul, the encapsulated twin, as if it were an invasion of its own personal space … which certainly, from the Western perspective of each Soul typically having its own body, was true. Co-Tenancy: An Admirably Eccentric Soul Solution. I have a different take on this. I think of it, in Soul evolution terms, as a Soul agreement for Co-Tenancy … to a certain extent … in one human form. So in this case, the ‘home base’, as it were, for the smaller twin, was the encapsulated tissue of the twin girl, and that contained an exterior sexual organ, and just one arm. stunted in growth. Fulfillment of Two Dying Wishes at Once. So there we had the fulfillment of two dying requests in this current, very efficient, incarnation … in solving two Soul wishes at the same time. So that encapsulated aspect of the smaller twin was pretty much sexual, I think, in incarnational significance. Here was this smaller twin girl, who, at the onset of puberty for the larger twin, might increase, somehow, the sexual urge of the larger twin, because of the type of tissue that was present in the smaller twin. And so in this regard, it might be considered the fulfillment of that ‘Romeo and Juliet’ promise of some unknown, prior lifetime … for the two of them, where they did not want to be separated as lovers, you see? Relative Insignificance of Gender in Incarnational Soul Solutions. Of course, incarnationally, gender has very little to do with the expression of Soul longing. And in this case, the longing was made incarnate through this very unusual means of fetus in fetu. But how might a ‘Romeo and Juliet’ death wish be fulfilled in an incarnation in which both Souls were girls? Feeling of the Smaller Twin. All right, so meantime, on to the smaller twin. The smaller twin was experiencing great anguish during these five years because, here it was, incarnate, but locked up inside what was like a prison of flesh, that was what had been its own sister; in a prior incarnation, its own mother; and in a prior incarnation; its own lover. It could not see anything. It had no sensory input. It had no eyes, no ears, no mouth, no nose … none of the normal tactile sensations. Maybe a sense of pressure or pain, and that’s about all. But the Soul, the Awareness, the Truth of the multidimensional being was still there, imprisoned, as it were, in the flesh of its twin. At times, as the clearing unfolded, between the two of them talking together … at times there was a feeling that this encapsulated twin would want to get higher in the body of its sister, and it would work its way up higher. And the twin sister would feel a sense of horror that something was in her, and was moving in her. Something knobby was moving inside her. She, not knowing what was going on, right? Link: “The Martian Archives: Bacterial Colonists of Earth,” by Alice B. Clagett, published on 9 July 2017; last updated on 12 June 2018, https://wp.me/p2Rkym-7sz ..
OPEN LINK WITH FORESIGHT, IT’S RATHER GNARLY … Link: “Annihilation (2018) Exclusive “Carved” Clip HD | In Theaters Now!,” by BD Horror Trailers and Clips,” 22 February 2018, https://www.youtube.com/watch?v=QmAaEJGXkP8 ..
One might conceive of this movie clip as an expectable, horrified response, from an egoic stance, to the notion that the Martian bacteria colonize our human bodies, and think of us as their very own Space Stations. In my own way of thinking, the Martian ‘invasion’ of our bodies is really a benign agreement to Co-Tenancy, with benefits to both the Martian bacteria, and to us, their human hosts, in terms of protection from the Terrible Ant Beings (in their case) and assistance with the digestive process (in our case). Instances of fetus in fetu are another expression of Co-Tenancy, no more unusual than the shape and tenor of the Martian-Human alliance, here on Earth. Feeling of the Larger Twin That She Was Being Mind Controlled. And then at night, apparently, when the larger twin was asleep, the Awareness, and the astral form … which there must have been … of this second twin would attempt to take over her mind and her consciousness. And so, she had a feeling that she was being Mind Controlled. But what her smaller twin wanted to do was to express itself in the physical world in the way that a child usually does. So it would ask her to twitch a limb, or like that. It would try to create, with the Will of the Soul, some sense of change in the physical body of its sister. My guess is … now this is just a guess; I know about the twitches, but I don’t know about this … It is possible that it was able to take over her mind, from time to time, when she was sleeping, and cause her to sleepwalk. I would have to ask her that, to know that. I do not know for sure. But it seems likely to me, that a Soul caught in such a situation would want to try … as Co-Tenant of the body … to take over the body’s volition from time to time; not in a bad way, but just because it would want to see, you know? It would want to experience the world. It would want to feel things with its skin, and so forth. Apparently the anguish of the smaller twin became so great that, when the mother of the twins became pregnant again, it made the decision to remove itself from its presence in the smaller twin body, and accept, as its body, the form of a boy that was growing in the twins’ mother’s womb. So the Soul went from an incarnation as an encapsulated, malformed … you could say ‘partly formed’ … girl, in which it lived for over five years (including gestation) … over to it’s mother’s well formed fetus which was masculine in aspect. So then luckily, the pregnancy terminated favorably; a beautiful baby boy was born. And he became very, very close to his sister, who was five years older than he. He and his sister were very, very close; closer than most people … almost as close as twins. As you can imagine, because their most recent experience was of identical twinship that was closer than any in which the forms are separate. They were sharing a body back then. And that’s very rare. They continued quite close for nine years. When the brother was about nine years old, the sister was about 14, or possibly 16 [the astral stories kept forming and reforming, regarding this]. She had already reached puberty, and he was just reaching puberty. It seems that the onset of puberty caused the encapsulated twin body (but not Soul) that was still growing inside of the sister to grow quite a bit. I am guessing this had to do with hormones, and the fact that the tissue of the encapsulated twin included sexual organs. I will bet that had something to do with it. So there came a point at which the older sister ‘s stomach became very large. And her mother thought that she was pregnant. And because the boy and his older sister were so close, she thought that her son had caused a pregnancy. So the sister went for an abortion. And from the mother’s perspective, what was found was a fetus that was malformed … ‘though, in fact, what was there was her own malformed child that she had unknowingly given birth to,14 or 16 years prior. But she thought that it was the daughter’s child. And further, she thought that her beautiful baby boy had done something terrible to his sister; by that she meant, had had intimate relations with his sister. And that the fetus that was born was malformed because he had done something very stupid and very bad. And she told him that, in no uncertain terms. The things that she told him, were so Soul shattering for him, that they stuck with him for the rest of his life, until the Soul clearing, which took place a few weeks ago. So the story had a good ending. As Soul stories go, the above is a pretty good one; because massive problems that present themselves, such as occurred in this very tangled story that I am telling you right now, may succeed in Soul clearing, but they may not succeed, you know? It all depends. There is the question of luck, and providence, and grace. Many years passed, and the sister and the brother were parted. Yet they maintained a close connection over the years. Just recently, they discovered about the medical term fetus in fetu, and realized that they had been twins together for five years. They put all of their nightmares together, about the days when one could not move, and was unable to perceive what was going on, unless it logged onto the physical or astral senses of the sleeping twin, the older sister. And also, he logged onto her terrible fears about having someone else invading her space and being inside her body. And when they remembered those feelings, and put all that together, it all went away, in a flash of Light! It was really incredible. When they remembered, and pieced it all together on the astral plane, after some talking together, as I understand it, things are much better. As I understand it, the astral plane is much more quiet, between the two of them, as if they have resolved great issues. Multi-incarnational issues have been resolved there. And great Soul wisdom has accrued. This is wonderful. I do feel there are some more issues that remain to be resolved with them, to do with that long-lost romance. You know the despair of lovers when they are forced apart! It could have been almost like “Romeo and Juliet” … that strong a thing that happened. And so, like most of us here on Earth, they still have a few ends to tie up. But once we get past that first great clearing, it is much, much easier. I am going to put up a blog [that would be the information in this blog, including that below this Summary] that describes this Soul clearing, and talks, as well, about other unusual situations … such as conjoined twins in various aspects of conjoined twinship, that might speak to a Soul’s purpose, or a Soul’s mission in incarnating that way. And on the blog, I’m going to include information about a better way for the medical profession to approach the situation of unequal, conjoined twinship, and the type of surgery that might be contemplated for that, and also for fetus in fetu … because at present, this is considered a parasitic situation; whereas, in fact, there is a separate Soul to be honored and respected and considered in this. The hopes and desires of equal, conjoined twins, no matter how young, should be considered, and their decisions honored with regard to whether surgery should be performed, because it could be that the Soul purpose involves the two staying together … staying conjoined. Despite the social conventions, and despite the wishes of the parents, I feel that the wishes of the Souls involved should be consulted, and their wishes honored. For fetus in fetu situations, from a medical perspective you could say that the one child that is encapsulated is totally dependent on the larger twin. Of course that’s true. And from the perspective of life-threatening situations, if that smaller twin begins to grow, it can present a life-threatening situation for the larger twin. But in the beginning, and in essence, those two Souls agreed to Co-Tenancy in this body. And some purpose is being served by that Co-Tenancy. It is not a mistake. There is a reason for it. So that’s why I think prayers are good. Prayers are very good. And a deeper understanding of Soul purpose is integral to all this; sensitivity, even in the case where you’re removing cells from the body, and you feel that there is no Soul Awareness being removed. Yet there is the death of the cells, and the great sadness of the cells at being separated from the larger body. You know? Any surgery involves suffering and pain for those cells that are removed … even though it may be best, for the sake of the person that has the surgery. So, honoring life … whether it is cellular life, or whether it is a partly formed fetus, or whether it is a child you are trying to save … Honoring all life is very important, to the medical profession, and to all of us, don’t you think? And honoring those children that are born as conjoined twins … knowing that there is a reason … Those things broaden our own Soul awareness and Soul perspective, as well. Just a final thought about surgery or no surgery, in the case of conjoined twins: Among unequal, conjoined twins and fetus in fetu, frequently there is surgery involved, you know? And I think from the perspective of ethics, that we could take the similar example of a woman who is having a baby, and the continued pregnancy would jeopardize the mother’s life … and, one would also assume, the fetus’ life. If the mother would die as a result of the continued pregnancy, and if the baby would die as well, then surely it’s better to have an abortion, right? This is my thinking on the topic: We preserve as much life as possible. These days, lots of times, a baby can be born sooner by Cesarean section, and its life preserved. So there is also that possibility. But in the case of an only partially formed fetus, and fetus in fetu, that is not possible. And if the larger twin’s life is threatened, why it is similar, I feel, to the situation of a pregnancy where the mother’s life is endangered. And so the ethics are, I feel, more clear, in this situation … with great apologies to the Soul whose earthly life is being terminated. I think that’s how I feel about it. There will be more on the blog [the page you are on right now] if you care to go there. I know this is totally incredible stuff. I would say that I was amazed. You know? So, if you cannot understand it … if you cannot rise to this greater awareness … I would really understand that, and honor it. But I do feel that there are those among you who will be able to rise to this greater perspective of incarnational missions of the Soul, and Soul purpose, and Soul evolution. For that is the great plan of God on Earth. The great plan of God is to bring Souls into His presence, in greatest wisdom and love and joy, through these many teaching experiences that we receive, here on Earth. This second section contains further discussion on the topic of the video, as well as an abbreviated and spiffed-up version of the information in the video. Sometimes one twin will be mostly or completely submerged in the other twin’s body. This is called fetus in fetu … a fetus within a fetus. In this case, as far as I know, the ‘fetus within’ is missing some parts essential to survival. Image: Young man, and greatly deformed fetus extracted from his abdomen: https://i.ytimg.com/vi/nPlHZKTxBvg/hqdefault.jpg .. The Soul itself is pure awareness. In this case, before its deformed body was removed from that of its twin, the Soul without doubt experienced its incarnate existence as a limbo of suffering, incapable of action in the world, or of sensory perception of that world, except when its twin was sleeping, when it might attempt to gain control of the twin’s Lower or Higher Mental Body for a little while. Thus, in a way, it might be considered co-tenant in the twin’s body for some years. There were a mother and a child about 2 years of age. It was during World War II in Europe; bombs were exploding all around. A mother and her two-year-old child sought shelter in a hut. The mother received a fatal abdominal injury. Into this gaping wound the child attempted to crawl, for safety. In this position, the child was also fatally wounded. Almost immediately after that, the two incarnated together, the mother as a female fetus and the child as her twin sister. The smaller twin who had just recently been the child of the larger twin, recognized the Soul with whom she was incarnating. Because of the recent highly traumatic Soul experience, she remembered the need for safety in the mother, and crawled back up the umbilical cord into the cells of her larger twin. Although I don’t find such an instance in the medical literature, I feel it could have happened if the twins were attached to a umbilical cords, which came together like a ‘Y’ just before connecting to the mother’s placenta. The larger twin remembers that she “wooed the smaller twin in the womb.” I take this to mean that she invited the smaller twin into her fetal body. So there must have been an initial invitation. This account by the larger twin agrees with the medical theory that the larger fetus ‘envelops’ the other fetus. If this is so, then from a Soul perspective, I might propose that the larger fetus, which had been just priorly the mother, wanted to protect the smaller fetus, which had been just priorly its child. But then, on being born with the encapsulated Soul, the larger twin’s experience as a young child was one of being invaded by another being. That this being had only an arm and a female sexual organ, attests to the notion of wooing, which, it seems to me, stems from trauma of a romantic nature, between these two Souls, in yet another lifetime. It is possible that each of these Souls perceived the act of encapsulation of the one fetus within the other in terms congruent with its own recent end-of-life experience, more from the standpoint of pure Soul awareness than from physiology, The ‘crawling up’ experienced by the one twin might also have to do with the subtle bodies of the mother and of the two twins, rather than their physical bodies. After 5 years of co-tenancy within the larger twin, the smaller twin’s Soul, perhaps in despair over its physical efficacy in the small-twin form, moved on to incarnate in the body of a new child conceived by the twins’ mother. In this new incarnation, the Soul sought expression in male form, and the younger brother who was born has felt a life-long physical closeness with his sister, although their lives have diverged. For about 9 years, the younger brother found himself within his own physical consciousness during the day. At night, when his older sister was sleeping, his astral consciousness would gravitate to within the form of his sister, and attempt to influence her physically … to make her body twitch, or to influence her mind to act in the world according to his own concept of how she should act. This no doubt was a reliving of his recent trauma of encapsulation; which trauma has been completely healed during his August 2016 Soul clearing. When the brother was 9 or 10 years of age, the still-growing physical form of the smaller twin was removed from the older sister’s body. This was also a traumatic event for the young brother, whose mother had mistaken the growing encapsulated fetus to be a pregnancy, and thought that the young brother had made his sister pregnant. Further, at the time when the oddly formed fetus was removed from the sister, the brother was visiting her astrally, and saw, with a great deal of upset, that the doctor looked at what had been his own Soul’s body, and laughed derisively. Image: Girl with deformed arm and part of another person’s body on her back: http://images.medicaldaily.com/sites/medicaldaily.com/files/styles/embedded_full/public/2015/02/10/chinese-school-girl-2012-case.png .. This is like the case of the completely encapsulated twin, except that the encapsulation is more obvious because the smaller fetus is partly outside the larger fetus’ body. 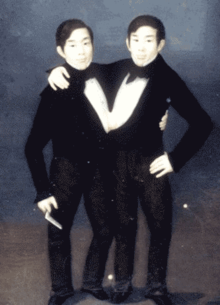 There is an overlap with the category of ‘unequal conjoined twins’ (see below). The more perfectly formed the second twin is, the more likely it is to fit into the latter category. From the standpoint of what’s expected of the human body, there is a tendency to laugh at, disregard, and diminish the presence of the Soul that has chosen this form of incarnational expression. The human Soul is vast and magnificent, no matter what the state of the body into which it incarnates. Though this Soul could not live when separated from its twin, the spiritually developed person would never laugh at the form. Rather, he would understand the extremely difficult Soul lesson that this Soul undertook, and the agony it has endured in a body that cannot function on its own. In the case of the fetus with no head outside the twin’s body, for instance, then its only experience of the senses will be through its own astral senses, or through union of its awareness with the mind of the twin, or else through taking over the mind of its twin while the twin sleeps. In this latter case, in a moment of ascendency, the buried twin might cause the other twin’s body to twitch, or to feel a sensation, or perhaps to sleep walk. All the waking day, such a Soul, buried as it is in the flesh of its sibling, must exist in a form of will-deprived limbo, in which it may, through union with the higher mind of its twin, observe what the twin does in the world, but without being able to influence the twin’s actions in the world. Image: “Conjoined twin sisters from Nuremberg Chronicle (1493). Nuremberg Chronicle, by Hartmann Schedel (1440-1514), public domain (1), https://upload.wikimedia.org/wikipedia/commons/thumb/8/85/Nuremberg_chronicles_-_Female_Siamese_Twins_%28CLXXXIIv%29.jpg/170px-Nuremberg_chronicles_-_Female_Siamese_Twins_%28CLXXXIIv%29.jpg .. Here is my hypothesis: In this case, two Souls have agreed to co-tenancy in one body. They have preserved the right to have separate Higher Mental Bodies. The reason for this can be uncovered through past life regression. Everyone agrees that equal conjoined twins represent two separate Souls, with different personalities. I believe this is because we tend to think that the more complete and normal the human form is, the more beautiful and complete the Soul. However, this is a misconception. All Souls are bright, beautiful, and magnificent in their vastness. Some of the most magnificent Souls choose to incarnate in bodies that human culture considers to be ‘incomplete’ or ‘genetically damaged’. For instance, Souls may choose to be born with Down Syndrome, with impaired higher mind function, in order to offer the Souls of their family a gift of pure and unconditional love, and a chance to reciprocate. This is their free will donation of their incarnate life to the Soul evolution of the family into which they incarnate. Such Souls intend to experience greater extremes of Duality than do most. Image: “Conjoined Twins: Two Girls, a Medical Wonder,” by ABC News, 14 June 2010, https://www.youtube.com/watch?v=YWDsXa5nNbI .. In this case the twins agreed to keep separate bodies and share their Higher Mental Bodies. Freedom of movement and societal expectations were clearly not as important to these Souls as the ability to be ‘of one mind’ in this incarnation. Incarnational regression may provide the reason for this, in terms of prior Soul wounding involving both Souls. Image: “Chang & Eng Bunker (1835 or 1836),” public domain (2), https://upload.wikimedia.org/wikipedia/commons/thumb/a/a8/Chang-eng-bunker-PD.png/220px-Chang-eng-bunker-PD.png .. Image: “Two headed boy of Bengal who had the first known documented case of craniopagus parasiticus,” by Arthur William Devis (1762-1822), public domain (3), https://upload.wikimedia.org/wikipedia/commons/6/62/TwoHeadedBoyofBengal.jpeg .. This case is considered by some to be one of unequal conjoined twins. It might as readily be classified as fetus in fetu … a condition in which the smaller, malformed twin is termed ‘parasitic’ (hence the term ‘craniopagus parasiticus’). This use of the term ‘parasite’, while medically correct, is incorrect from a Soul perspective: There are two Souls, one dependent on the other for survival, not just one Soul with a parasite inside it. The boy of Bengal is also termed that of an unequal conjoined twin. Why is that? It is only that. in the modern day, we are more likely to recognize the presence of two Souls if there are two heads. In essence, we tend to equate Soul awareness with the Higher Mental Body. However, this is not the case. Soul awareness exists in any incarnation, no matter how incomplete. On Distinguishing between Soul Awareness and the Condition of the Physical Body. The Soul, in all its vast state of awareness, exists independently of human form. It exists, in all its magnificent awareness, no matter whether the Soul is incarnate or not. In fact, the Soul as expressed in human form is far less aware than the Soul in its disincarnate state, being confined to awareness as expressed through the human senses. Thus in the case of fetus in fetu, two Souls exist as co-tenants of the same body; one Soul expressing as incomplete physical form, living within or partly within another human body, and dependent on that body for nourishment and continued existence. On Making Medical Decisions on the Basis of the Notion of Body Co-Tenancy Rather Than the Notion of ‘Parasitism’. Is this encapsulated body, because it is dependent for its existence, parasitical on the body of the encapsulating body? That is a good question. There is, in parallel, the case of the normal human fetus inside a mother. This fetus is dependent on the mother for nourishment and continued existence. But is it, in fact, ‘parasitical’ … as proposed by my college Biology teacher? There are instances in which a hedged response is appropriate, and this may be one of them. When a mother’s life is threatened by her fetus, then it seems ethical to me, to sanction abortion. That way, at least, the mother’s life can be preserved. Were means of abortion to be withheld, then the mother might die, and with her the fetus; that would be two deaths, as compared to just one. In the same way, if the fetus in fetu poses a vital threat to the larger fetus, then the way for an ethical medical decision may be made clear. Understanding that the operation to remove an encapsulated twin ends the incarnation of a Soul ought, it seems to me, to alter the attitude with which such an operation is undertaken. For instance, it seems to me appropriate that prayers be said, both before the operation and after it, for the welfare of the departing Soul of the smaller fetus. Now back to this case of the Boy of Bengal. As in the case of fetus in fetu, I feel certain that the extra, conjoined head and underdeveloped body are that of a second Soul, who has decided to undertake incarnation with shared Higher Mental Body, and ceding the right of movement in the world to the more developed twin. Past life regression may uncover the cause of this Soul mission. Image: Myrtle Corbin, by Charles Eisenmann (1855-1928), public domain (4), https://upload.wikimedia.org/wikipedia/commons/thumb/d/dc/Myrtle_Corbin.jpg/404px-Myrtle_Corbin.jpg .. I feel there is much more to be channeled on this topic, but this is all I can offer for the nonce. God bless you all in your Soul’s journey. Image: “Illustration of an adult man with a parasitic twin and two sets of conjoined twins from the 1609 edition of Monstrorum historia memorabilis by Johann Schenk.” It is the left-hand illustration: https://commons.wikimedia.org/wiki/File:JohannSchenk-Twins.jpg .. This entry was posted in Astral case studies, Death, Incoming light - grace - leveling up, Karma - incarnations - causal reality, Movie reviews by Alice, Overcoming mind control through faith (see also 'implants'), Physical body and subtle bodies, Prayers - blessings - mantras - affirmations - white magic, School of Theosophy, Soul purpose - Soul mission - Soul evolution, Soul wounding - soul clearing - core star energy, War, Western medicine and tagged Anihilation movie, Astral case studies, body co-tenancy, Co-Tenancy, conjoined twins, Death, fetus in fetu, First Clearing, grace, incarnations, medical ethics, mind control, posttraumatic stress disorder, prayers, PTSD, reincarnation, soul clearing, soul evolution, soul mission, soul purpose, soul wounding, subtle bodies, Sudden Death Soul Syndrome, Theosophy, Western medicine, World War II on 17 August 2016 by Alice B. Clagett.